The coffee beans make the best cup of coffee. And if you’re anything like me, you’re always looking for the best cup of coffee. I’ve had a relationship with coffee for quite some time. 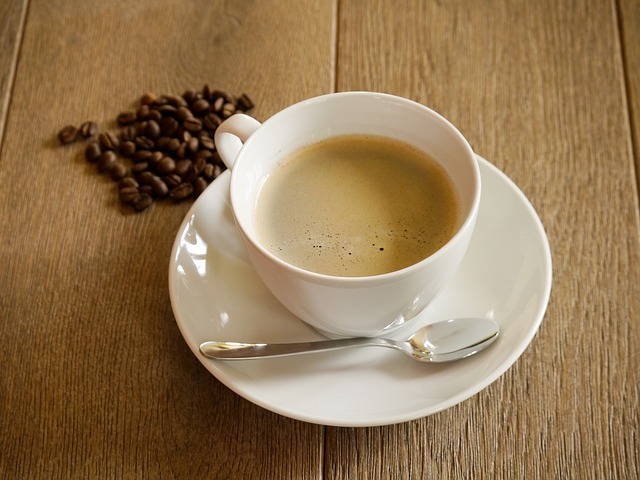 It’s something that has progressed from simply drinking whatever coffee was available at the time, to researching the most high-quality coffee beans I could find so I could make that most amazing cup of coffee I so coveted. 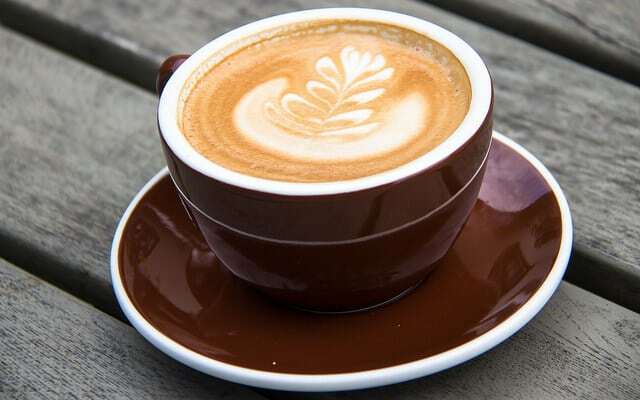 Since I have already spent so much time looking into the best coffee beans and which brands are the best and why, I’m writing this review article to help the rest of you out there like me, who love and appreciate a truly premium cup of coffee. I’ve narrowed it down to the top 17 brands here. 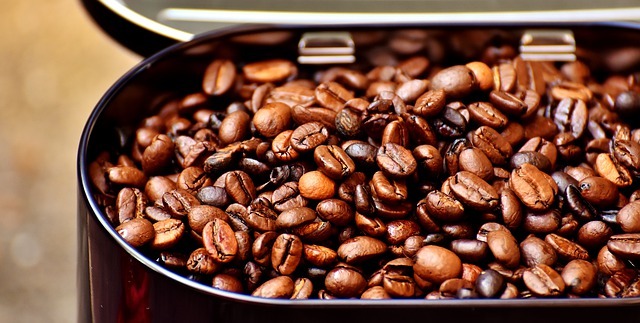 We’ll start out by going over some of what’s important to know about finding the best coffee beans though. 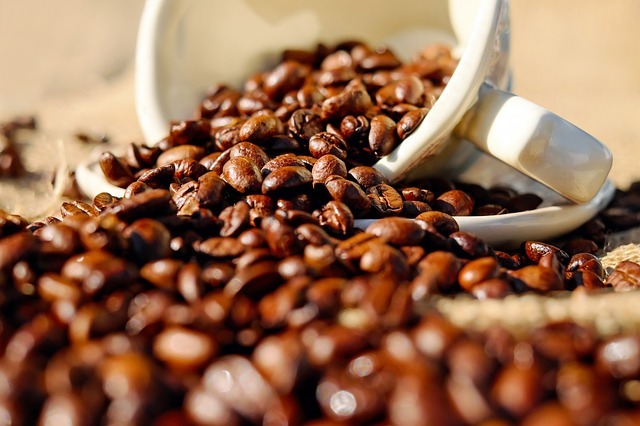 There are basically four different main types of coffee beans that can be commonly purchased by the general population. Those four types are: Robusta, Arabica, Excelsa, and Liberica. 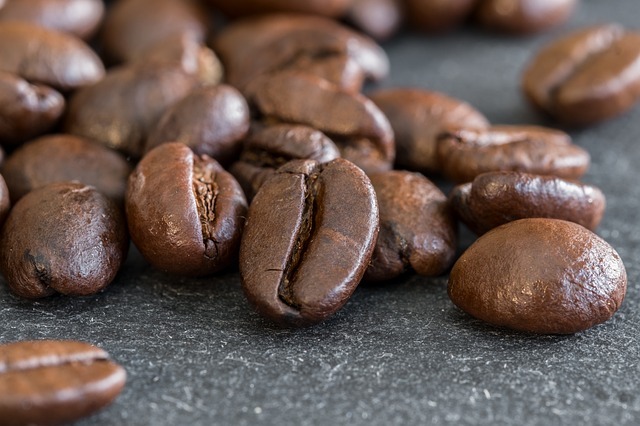 Robusta – This is the second most well-known variety of coffee bean in the world.Its name is very descriptive as the Robusta plant is very enduring and resists plant diseases that other coffee plant varieties are not as capable of fighting off. Robusta has a higher caffeine content than the more popular Arabica beans have. 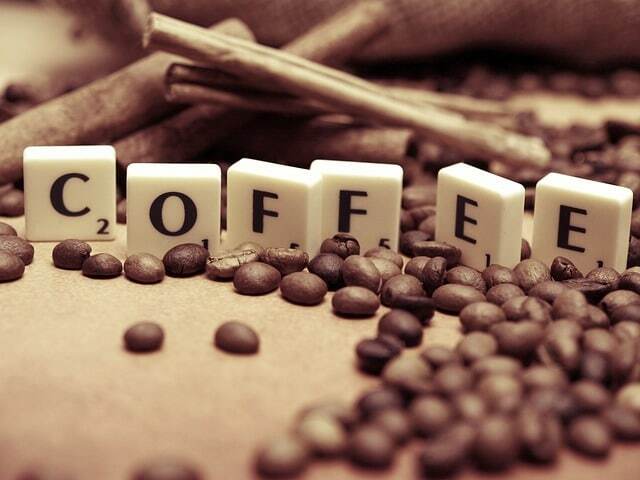 The caffeine level also helps the plant to fight off disease. Robusta has a heavy, bold taste. The coffee should taste bitter but not aggressive. As with any product, you want to make sure to look for premium coffee beans that will have the quality of taste that you’re looking for. Good quality Robusta will have low acidity, a texture that is very smooth, and a light chocolate flavor that can be detected when drinking it. 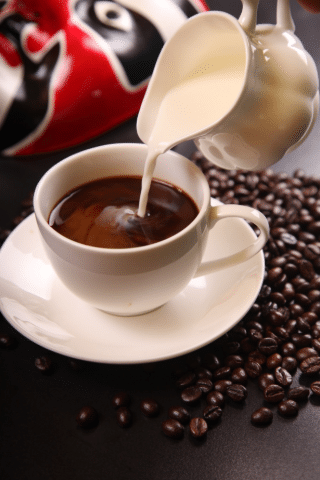 If you like to add things to your coffee like cream or sugar, Robusta is a good choice for you because it does not lose any of its flavor to these add-ins. 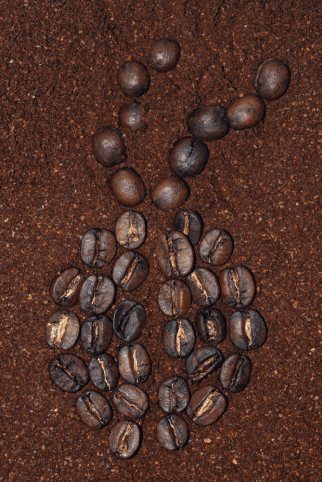 Arabica – This is the world’s most popular variety of coffee beans. While the trees themselves are very easy to take care of, the coffee beans are the most easily altered by environmental changes. They are also very susceptible to plant diseases. When you have good quality Arabica beans, the taste of the coffee will be vibrant and bright.There will be some acidity but not a lot. The flavor and the aroma of coffee will be interesting and have underlying layers for you to discover while you continue to drink your cup of coffee. For Arabica coffee to brew at home, you’ll get the best experience by using Arabica beans that are full bodied with minimal acidity. It’s also good to note that if you like cold coffee, Arabica probably isn’t your best option for that. You lose some of the quality of the Arabica bean when it’s served cold and diluted with any kind of creamer. Arabica is best when it’s served hot. Excelsa – Excelsa beans grow on very large trees. The beans are small and almond shaped. They only make up a very small percentage of the coffee beans being purchased throughout the world. Most of these beans are grown in Southeast Asia. Most of the time, Excelsa isn’t brewed as a standalone type of coffee. It is most often included in blends of coffees. The Excelsa is added to enhance the flavor of the coffee blend and make it more intricate. The taste of the Excelsa beans is somewhat fruity and can be tart even. It gives flavors that are mostly like light roasts. But if you’re paying attention, you can also taste a hint of something that has a darker roasted flavor to it. Liberica – Liberica is the hardest variety of the main four to get a hold of. But there was a time when it was pretty much the world’s only coffee bean variety. 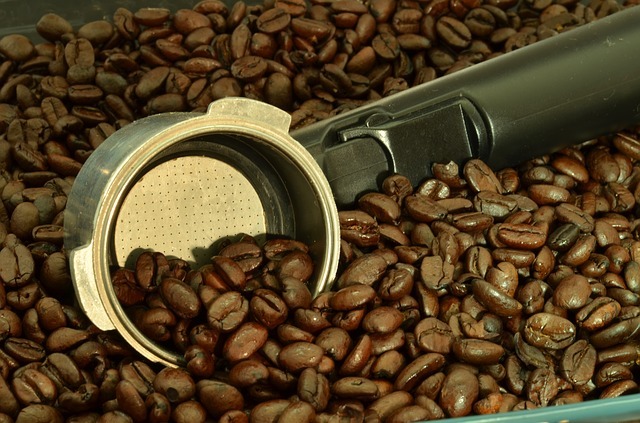 There was an outbreak of “coffee rust” that took out the world’s almost entire stock of Arabica beans. The industry decided to try out the Liberica tree’s beans.The Philippines was basically supplying the world with the only coffee it had left for that time. But there was conflict between them and the U.S. that led to a cutting off of products that included coffee.The Liberica beans weren’t seen again in mainstream sales until 1995. Different roast levels bring different characteristics to the coffee. Since we’ll be mentioning some of the different roasts throughout this article, let’s just briefly go over each of the roasts you might encounter and what each one usually does for the coffee beans. When we talk about the roast level, we’re talking about a time and the temperature of the bean internally. When the temperature of the bean goes up, a chemical change starts to happen. There are energy releases that happen twice. The releases of energy are known as the first crack and the second crack. These two cracks represent some of the commonly known roast levels. If you want a particular roast level, you can stop the roasting process at whichever crack represents that level. You can basically say that roast levels have a bigger impact on the flavor of the coffee when they are darker. That’s just a general rule though. The lower the roast level, the more of the original flavor there will be that is retained. So, what are the most common roast levels? Light Roast. The color of the beans will be cinnamon looking. You’ll be able to taste the flavor of the coffee bean itself. The roast process is generally stopped at the beginning of the first crack. The temperature will be about 383 F.
Medium Roast. This mid-range roast level should get you the most flavor from the coffee’s origin, while starting to intermix that flavor with some of the roast taste. The process should be stopped at about the beginning of the second crack at around 427 F. This will give coffee drinkers the best balance in their cup of coffee. Dark Roast. This is sometimes known as Vienna or Light French Roast. In a dark roast, you get to taste a lot more of the roast flavor. The original flavor of the coffee can still be there, but it will be present as more of an undertone to the roast flavor. At this point, the second crack has already been going and the temperature has reached about 446 F. Acid levels are usually very low in dark roasted coffee. Italian Roast. These beans will be very dark brown in color. The roast flavor is what you will taste. The original flavor of the coffee will be pretty much gone at this level of roast. The second crack has finished, and the temperature of the bean is up to 464 F inside. French Roast. These beans are very oily and are very dark in color. This roast leaves the coffee tasting almost burnt. The bean is so hot it’s close to bursting at a temperature of 473 F. This coffee will have pretty much no acidity whatsoever. Coffee lovers all love coffee, but we don’t all love the same flavors of coffee. Me, I like very bold flavors of coffee or strong-tasting coffee. I like to be able to mix whatever I want into my coffee but still be able to taste the delicious coffee underneath it. 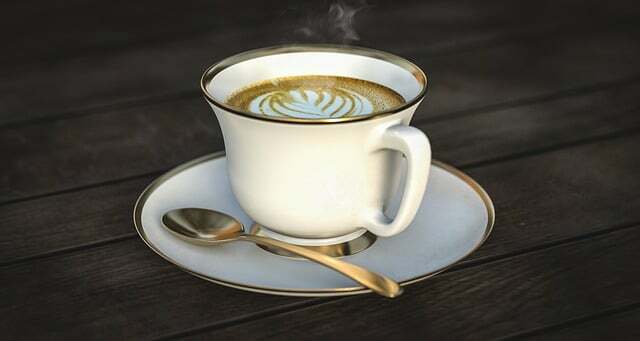 Others, like my mother, enjoy a cup of coffee that is very light in color and very light on flavor. I like to refer to her coffee as “coffee water” but it’s what she likes. 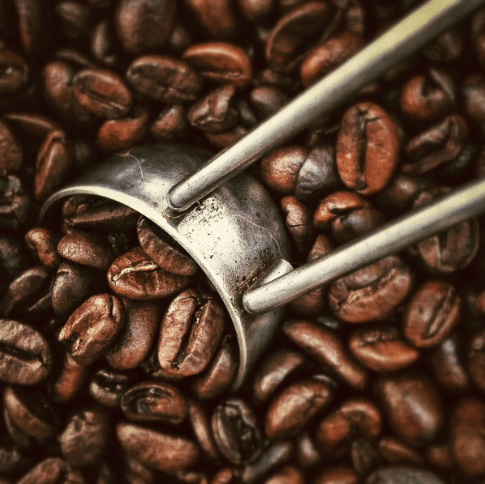 The point is, knowing what you like and knowing what kind of roast will give you the flavor you’re looking for will help you to be able to choose the perfect coffee for your tastes without any error. It will become easier for you to just order what you know you’ll love. 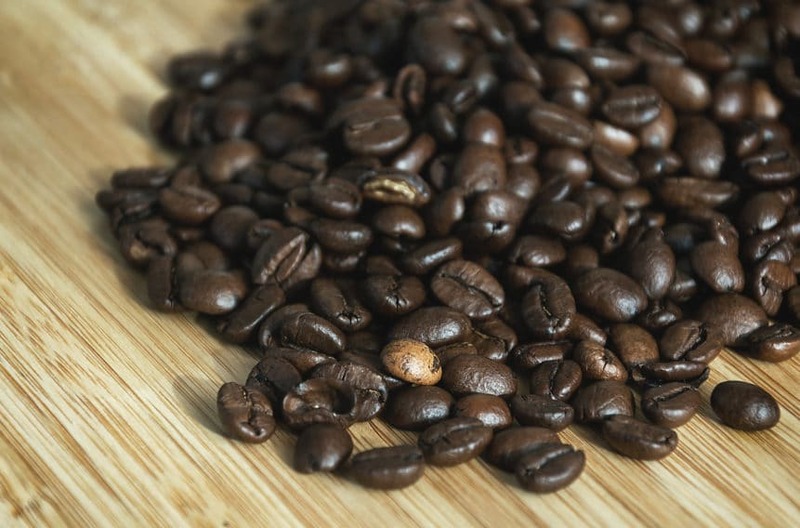 The more you know about the combination of the type of beans and the kind of roast to have on them, the better your cup of coffee will taste to you. Other things you can consider will be what type of brewing method to use for the particular taste you like. Or whether you like your coffee with things added to it. Or if you like it best brewed hot or brewed cold. Eventually, you’ll have everything tweaked to the exact perfect specifications for the coffee that makes you the happiest. So, let’s get down to business. 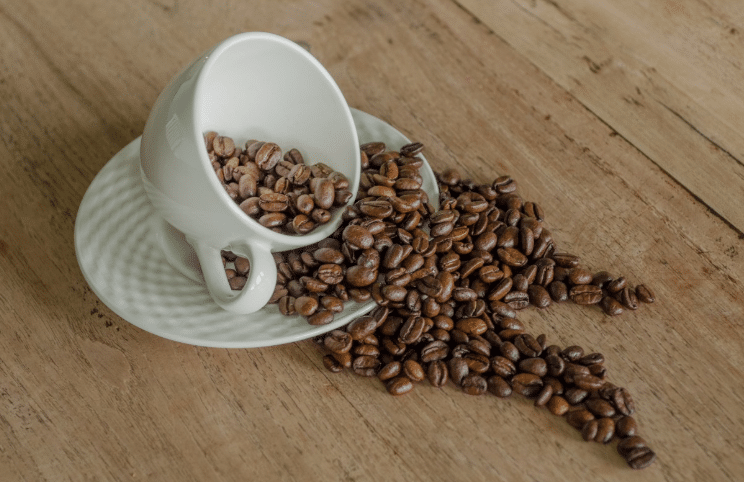 After searching the world over for the best coffee beans, we’ve decided on the 17 that we found to be the top of the line when it comes to fresh coffee beans. And sharing them with you lets us help other coffee lovers all around the world to make and enjoy quality, delicious cup of coffee whenever they should desire. Café de Loja produces specialty coffee beans that have been awarded for their high quality. These Arabica beans are grown at a fairly high altitude. The coffee is single origin, which means that you are getting the pure whole original bean and the flavor is pure and unaltered. The flavor of the coffee is somewhere from medium to full. 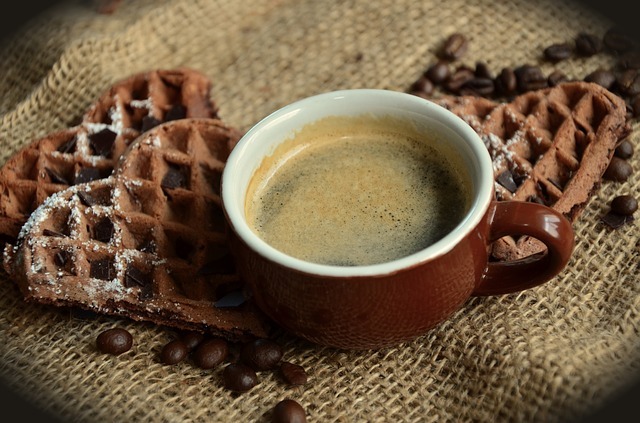 There is a layer of fruity flavor hidden amongst the delicious nutty coffee taste as well. It gives the coffee a more sophisticated and interesting flavor and aroma. The roasting techniques used by the company have been perfected to a level that gives you none of that awful bitter aftertaste that most of us try to avoid. You get all of the flavor and none of the burnt taste. The packaging is engineered to keep oxygen out so the flavor stays in. It’s made of a triple layer of aluminum to seal in all of the freshness. And the company offers a Fresh Arrival Guarantee. You can get a replacement bag if yours isn’t fresh. This Kicking Horse Coffee is known in the coffee world for delicious, complex, yet earthy tasting coffee. Their dark roasted Arabica beans that are organic and kosher have a deep and shadowy flavor to them. The aroma embodies power but that permeates smoothly so it’s not too overbearing. The intricate flavors are a sweet tobacco taste that is folded into a heavy, earthy body and topped off with a hint of black licorice. The best ways to brew this coffee are drip coffee machine, pour over, French press, and cold brew. 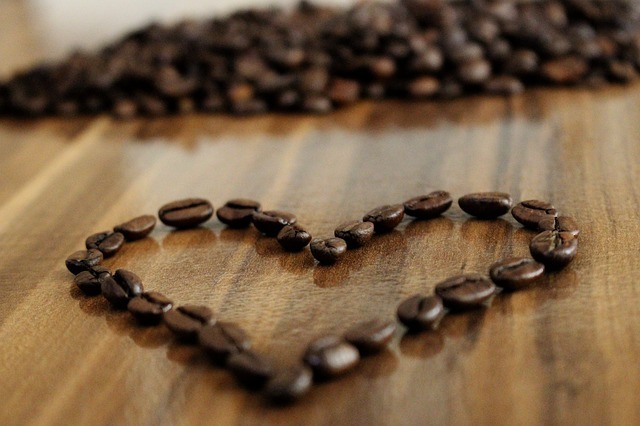 We love that this company sources beans that are Fairtrade only. That means that the coffee is certified to be good for farmers and the coffee drinkers. It helps make the world go around. The beans come from Central and South America and Indonesia and are grown responsibly. Real Good Coffee Co is based in Seattle, Washington, one of the hubs of coffee for the world. With the Donut Shop medium roasted coffee beans, you’ll get an extra bold flavor but one that is still smooth and sweet. This Donut Shop coffee has an aroma that is traditional in nature to what you used to find in old donut shops. You can detect hazelnut, a little brown sugar, and the sweetness of plum. This is a good every day kind of coffee. The beans are Arabica that are sourced from Central and South America and grown responsibly. You can brew this coffee in pretty much any type of brewer, and it will work well. This company has over 30 years of experience in this industry. That time shows in the coffee quality. 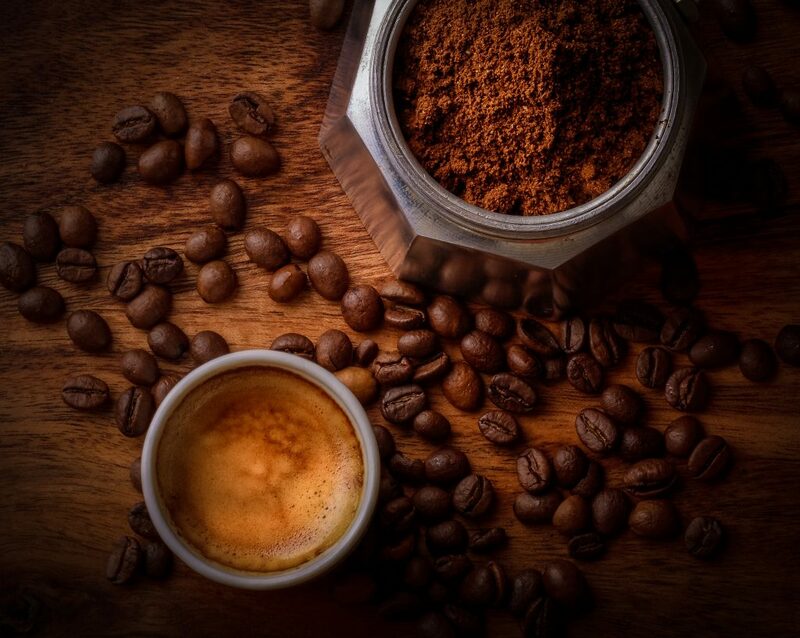 Banned Coffee produces coffee beans that have a much higher caffeine content than other coffee beans used by competitors. Their niche in the industry is that they sell the strongest coffee in the world. The amount of caffeine in their coffee has been found to be three times the amount of what you’ll get in many energy drinks. This Banned Coffee uses Arabica and Robusta beans that get roasted and then packaged immediately so they don’t lose their freshness. The package is resealable too, so you lose as little freshness as possible with every use. Strong coffees often lose some of their flavors and aromas due to over roasting of the beans. Banned Coffee pays special attention to make sure this isn’t the case for their coffee. The flavor is powerful but not burnt or bitter. There are hints of chocolate and berry fruits. The body of the coffee is very full but it’s still smooth and delicious. 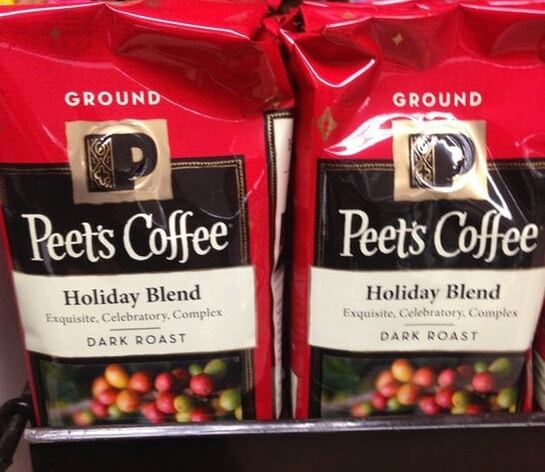 Peet’s Coffee is one of the heavy hitters in the coffee industry. Their products are highly popular and pretty easy to come by. 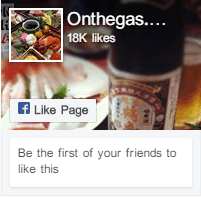 They’ve already created a trusted name, so we like that. This Holiday Blend consists of beans that were farmed in Papua, New Guinea. They are high quality beans that are dark roasted and have some hints of spice and fruit. The taste is full and bold, but spicy and fruity at the same time. To smooth out some of the boldness, Peet’s Coffee added some of their Velvety Kenya to the blend for a nice finish. The blend of the beans gives this coffee a more interesting and complex flavor. The roasting is spot on, so you don’t get any burnt taste or bitterness. Lavazza is an Italian company that has been around for over 100 years. It was started by the Lavazza family and has always been a coffee business. This coffee blend consists of different varieties of Arabica beans. The Italian Roast is medium with a full body. The flavors you’ll be able detect are chocolate with malt and honey. The aroma is woody with caramel and tobacco undertones. The taste is rich while still letting the coffee be smooth. Organic Tierra is meant to be ground for espresso, but it does still work well with other methods of brewing. I made it with a drip coffee maker, and it was still a great cup of coffee. Death Wish is another of the coffee companies that is in the business of producing coffee that packs a punch but while not sacrificing on flavor. 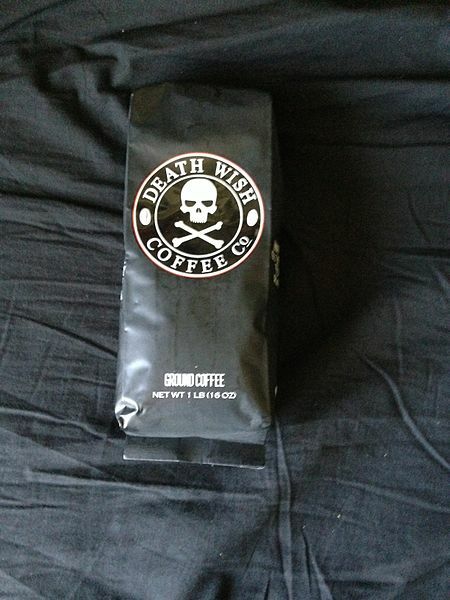 Death Wish coffees have about double the amount of caffeine that other coffees have. The beans are a blend of Arabica and Robusto. This coffee company takes pride in participating in the world’s Fair-Trade programs, using organically certified beans, and kosher beans. They have a commitment to world responsibility and community. These Death Wish coffee beans are roasted in small batches so they can be the freshest possible. The beans are then packaged right after the roasting process to keep all of that intense flavor in and the oxygen out. The flavor is strong, rich, and bold. And the coffee is packed with caffeine to wake you up and keep you up. You’ll get a boost and enjoy strong dark roasted flavor. This Arabella’s Dark Roast is made from a blend of three different Arabica beans. The company participates in the Fair-Trade programs and sources organically grown beans from Sumatra. This is a French roast that is dark and nutty tasting and goes down very smoothly. The flavors are intricate with an earthiness to them. The body of the coffee isn’t quite full but is pretty prominent in taste. There are some notes of brown sugar and chocolate present too. Arabella roasts the beans and packs them quickly. The package is resealable to keep in as much freshness as possible. This coffee is meant to be brewed as espresso. 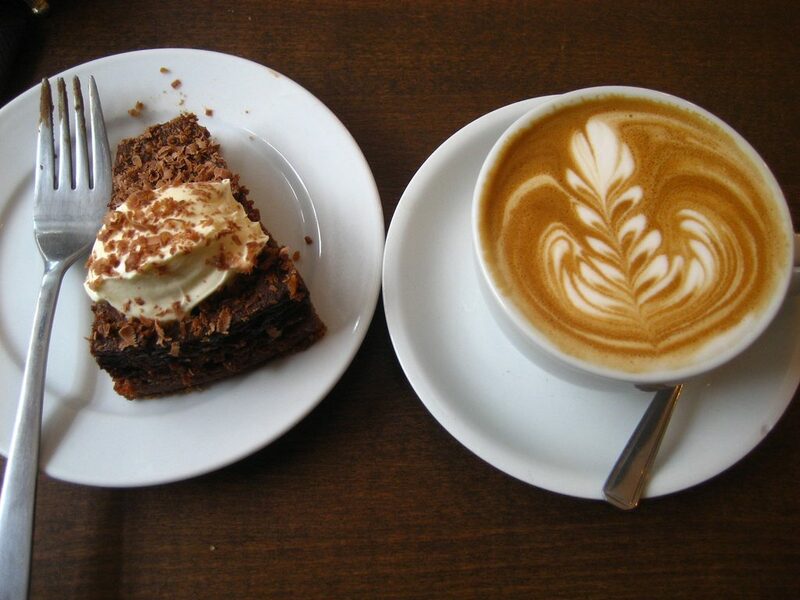 Browny Ethiopia uses beans that are wet-processed. It’s a different way of preparing these coffee beans that makes the flavors softer and delicate. This method was established in Ethiopia back in 1972. Yirgacheffe in particular is known in Ethiopia as a “garden coffee” because it is grown in small tracts of land with methods that are very traditional. Browny works to source beans from farms through Fair Trade and takes pride in using all organic product. The flavors in this coffee are slightly fruity with a floral undertone. You’ll be able to detect that in the aroma also. The taste is rich and very smooth. Browny offers a 100% satisfaction guarantee. If you are unhappy with your product for any reason, they will refund you your money without issue. Kion Coffee created this Medium roast coffee to be for the health minded coffee drinkers in the world. This coffee is produced to be completely clean and pure. Kion wanted the highest level of antioxidants possible so that people who drink coffee everyday had a choice of something that will be helping their health while waking them up. The flavor of the coffee is rich with some chocolate and toasted pecan present. There is also a note of orange blossom that you’ll notice at the finish. Every batch is tasted for consistency before it’s packaged for purchase, so you are getting the premium quality. The roasting process is done meticulously. To get the highest level of antioxidants, the roasting process has to be stopped at the exact right time. Kion does this through the use of roasting technology that is smokeless. 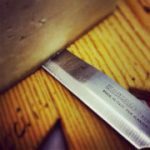 Once the batch has been approved by the taste-testers, the packaging process starts. The bags are nitrogen-flushed, which helps to keep in more of the freshness. Foxy Nana Blends has produced this dark roast blend of 100% Arabica beans that they source from farms through Fair Trade. They only use beans from farms who grow sustainably and without chemicals. The flavor of the New York Nana Blend Dark Roast is bold while being smooth but not bitter. The coffee is low in acidity and high in richness and flavor. There’s no long lasting, strong aftertaste. You can brew this coffee blend with different kinds of machines with great success. The taste is very fresh, and the coffee is pretty easy on the stomach. Bean There Brewing Company came up with this Banana Cream Blend coffee as a play-off of the delicious dessert, banana cream pie and pudding. The beans are flavored with hints of banana and whipped cream. 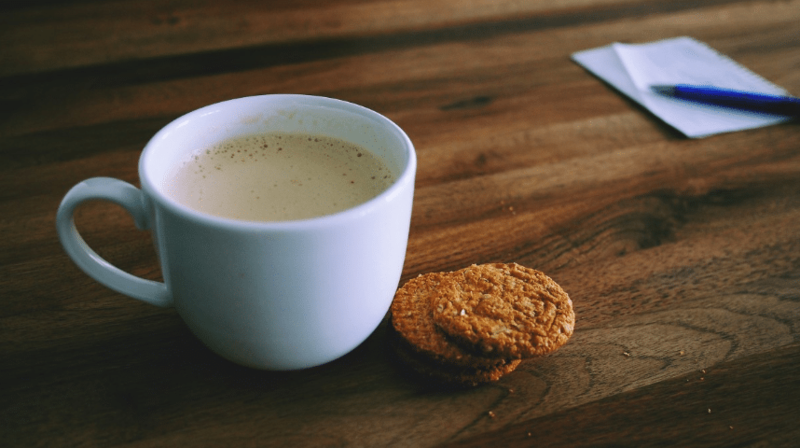 You can enjoy the coffee anytime but it’s especially good as a dessert coffee. The company is called Bean There Brewing Company. Their mission is to make coffee that is simple and pure and brings energy to your body and your soul. They roast coffee freshly in the U.S. and sell their product strictly online. They are environmentally aware and use products that are biodegradable and recyclable. 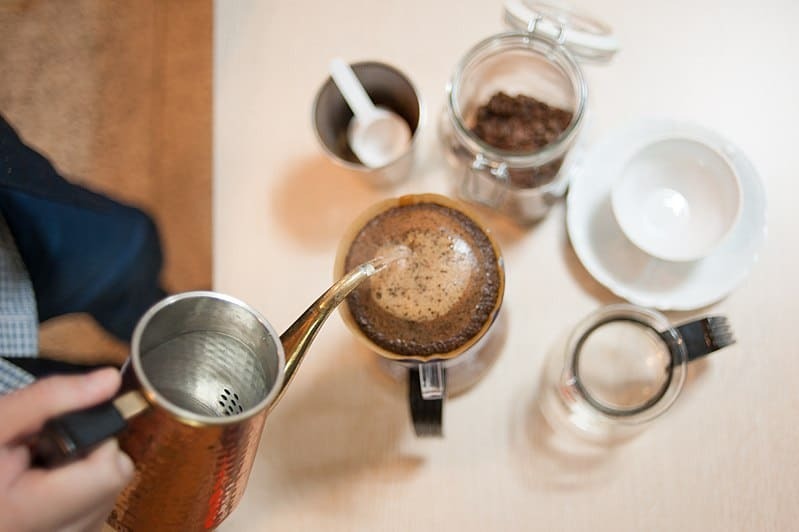 You can brew this coffee with whatever brewing method you prefer. And it is good hot or cold. It’s a mild roast so there may be some acidity but nothing too extreme. New Mexico makes this coffee with a blend of all Arabica beans. These coffee beans are grown at high altitude in Central and South America. This is a family owned and operated company and has a been for 20 years. Every batch of beans is crafted completely by hand. The roasting process is done very slowly to ensure that the beans are roasted to perfection. New Mexico strives for a roast that is rich and has small hints of nutty flavors. The taste will come out mild and mellow and will be ultra-smooth. Acid levels are mid-range and balanced. This coffee is flavored naturally with the Piñon. However, it didn’t used to be only that. There used to be some artificial flavoring used but that has changed at this point. Just a note so you know where this company is heading. Java Planet is also family owned and operated. Their coffees are all organic and free of all chemicals and pesticides. This coffee blend is made from a variety of Arabica beans sourced from Brazil and Columbia. 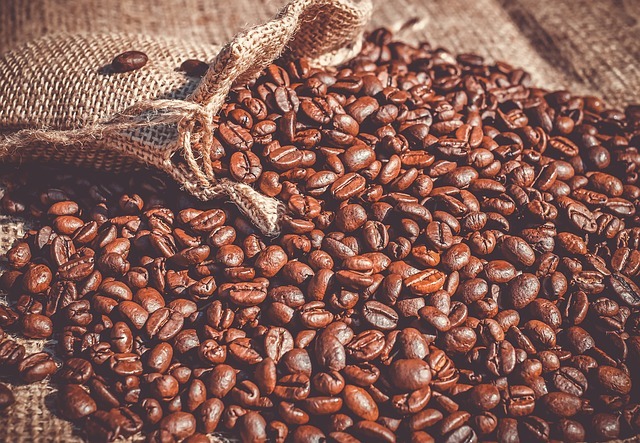 Java Planet roasts their beans in small batches so that they can get the exact flavor they are looking for and keep the coffee as fresh as possible. They take care to not over roast the beans so that you don’t have to worry about the burnt taste you get with some other kinds of coffee. This Medium roast blend is a full-bodied coffee that is well-balanced. You can taste the coffee but also the roast flavor. This coffee is also easy on the stomach and users report that they don’t feel jittery drinking it. It’s a good every day, all around coffee for just about anyone. On top of that, the company is very environmentally conscious. They strive to do everything through natural means. The purchase of this coffee helps to support sustainable farming around the world. Norwegian Woods came up with this blend of coffee beans to give coffee drinkers a choice of gourmet coffee beans that would be good for drinking morning, noon, or night. The beans are all 100% Arabica and very high quality. This particular blend consists of beans from Columbia and Guatemala. The beans are roasted to a well-balanced level that gives you great flavor without any bitterness. The coffee has very low acidity. There are hints of chocolate flavors and the taste is smooth. This is an easy to drink coffee. Norwegian Woods prides itself on helping in the world. They have a program called “Beans for Betterment.” This program helps animals in shelters to receive better care while they are waiting to go to a home. The company donates some of their profits to animal shelters and rescues. Rude Awakening created this Dark roasted coffee as a highly caffeinated option for coffee lovers everywhere. Those of us who need a little extra punch to get going sometimes could find this to be a good choice. The beans are a blend of Arabica beans from Columbia and Robusta beans. There are no additives, so you get a cleaner, more pure coffee taste. The beans are dark roasted, so the acidity level is very low. The flavor is chocolatey and smooth, but bold and strong. This coffee isn’t for those coffee drinkers who like a mild tasting brew. You’ll get a big punch of flavor with this blend. The packaging is nitrogen-flushed to lock in freshness. Just make sure to reseal the package after every use to keep the freshness of your coffee. The company participates in a program called Water4Kids. They donate some of their profits to this project that digs wells in the Philippines, Uganda, and India. Mystic Monk Coffee was actually started by real monks living in the Rocky Mountains of Wyoming. They roast the beans themselves in the mountains to help with support for their community. The beans are all Arabica varieties that are sourced from the mountains in Central and South America. This Breakfast Blend has flavors of milk chocolate and some hints of apricot and raisin in it. Nice flavors to start out the day with, but it’s a good coffee for drinking any time of the day. The roasting process is done by hand and in small batches so the monks can control the quality of the roast in a very detailed manner. Because the roasting process is taking place at a higher altitude, the end result is a cup of coffee that tastes much smoother than it would otherwise. The method of roasting the monks use and the attention the beans are shown during the process means that you get to enjoy smoother flavor and no bitterness or afterbite. As soon as the beans are cooled, they get packed into bags that are multi-layered in an environment that is low oxygen so that they stay as fresh as possible. The beans keep their flavor and nothing bad gets added. Coffee roasting has become big business but in an art form sort of way. 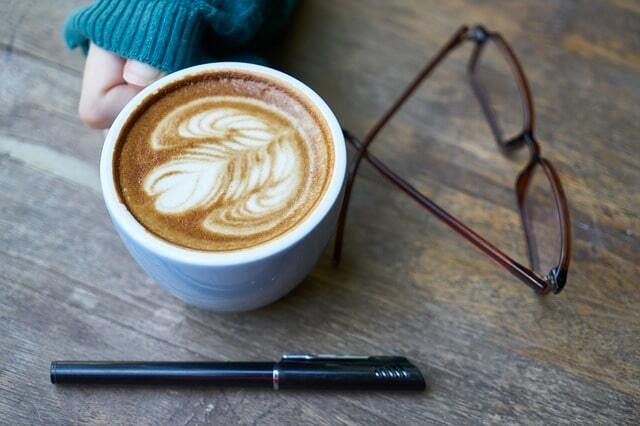 It’s something that’s been done for a very long time in the world but there’s been so many advancements and discoveries for how to make it better, that coffee is more delicious and more beneficial than it has ever been. I am a coffee lover and have been for a very long time. Trying coffee so that I can share what I’ve found with other coffee lovers around the world was such a treat for me. Most of us know exactly what we like and what we are looking for out of a cup of joe. So having a list of the best coffee beans in the world broken down for you is something I hope you find helpful when you’re looking for your next perfect cup to try. So, go ahead and take a pick at what sounds the best to you, or try them all. Believe me, it’s a journey you’ll enjoy when you love and appreciate a great cup of coffee like I do. Need to Know the Best Moka Pot? We Got It!